The FC Wisconsin - Madison program is entering its 4th year, with exciting growth, some new coaches, and a great outlook for the year. This year, the program encompasses players from U11 - U15, and welcomes coaches Drew Watson and Chrissy Watson to the club! The U15 FC Wisconsin - Madison team started the season 1-1-1 in the Puma Champions Cup held in Rockford, IL over Labor Day weekend. The girls came came out with a strong pressing mentality and possessed the ball well against Rockford Raptors in game 1, as Tiana Johnson was consistently dangerous and created two shots on goal in the first half, but each was denied by the goalkeeper. The Raptors scored late in the first half to take a lead which they did not relinquish in a back and forth second half. The second game of the weekend for the U15s saw them come back from an 0-2 deficit to tie 2-2 with a goal from Tiana Johnson and an own goal. The final game of the tournament was a dominant 8-0 win with multiple players scoring including, Tiana Johnson, Kate Aman-Lavicky, Abby Meyers, Taylor Swalve, Jasmine Luck, and Greta Czachor. Overall, the tournament was a good starting point as the team incorporated new players into the line-up and got into the flow of the fall season. 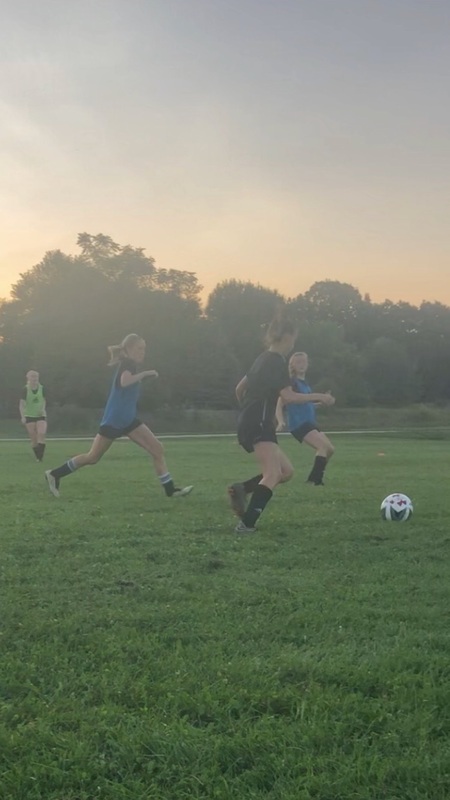 "It was good to see the girls back in action in Rockford, and to see them try to execute the game model concepts we have begun to talk about in training," said FC WIsconsin Madison Director Jacie Jermier. "I am looking forward to the season and watching the players in all the age groups grow in quality and understanding as they begin to understand the FC Wisconsin style of play."